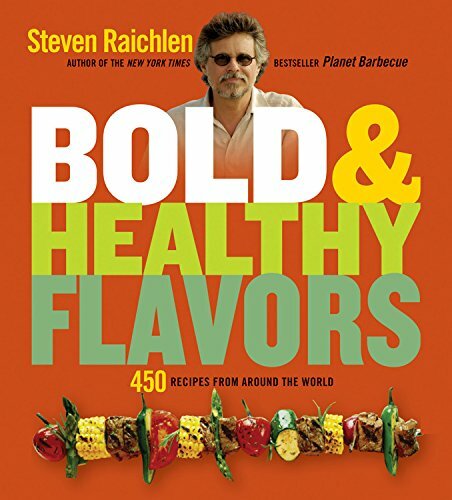 America's master griller chooses books on the world's oldest cooking method. He discusses why brown tastes better, and how our primal urge to play with fire helped us evolve. 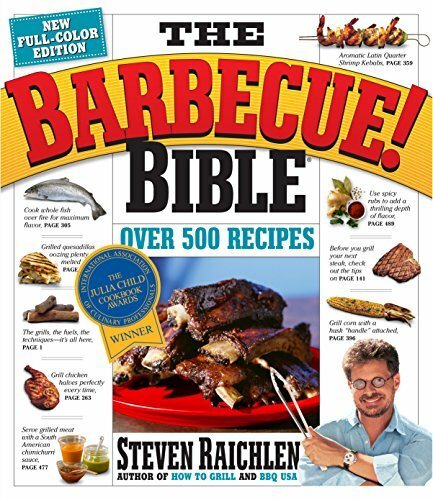 Several of your choices were cited as resources for The Barbecue Bible, your book which you spent four years on and travelled 200,000 miles to research. 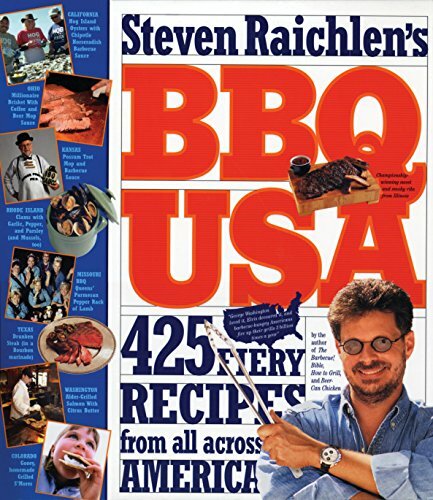 You’ve written eight books and done three television series about barbecue. What got you started on this decades-long odyssey? It started with the realisation that grilling is the world’s oldest and most widespread cooking method, yet everywhere it’s done, it’s done differently – it’s simultaneously universal and highly local. Grilling is part of human DNA and part of our cultural heritage. If you look at human evolution, it’s something that lies at the core of our humanity. But, at the same time, every culture and every grill master does it in a unique way. This idea propelled me on my journey to observe and document open-fire cooking in different countries and cultures. And it became the lens through which I viewed the world. What’s the most interesting thing you learned on this journey? On one level I learned traditional and iconic dishes and techniques that have filled eight books. On another level I learned about the role grilling plays in particular cultures. We think of grilling as a guy thing in the West, but in Asia women usually do it. We think of barbecuing as backyard activity in North America, but in other parts of the world it’s done on the streets and in the finest restaurants. It’s difficult to sum up what I’ve learned, but if pressed I’d paraphrase Jean Anthelme Brillat-Savarin’s treatise The Physiology of Taste: Tell me what you grill and I’ll tell you who you are. 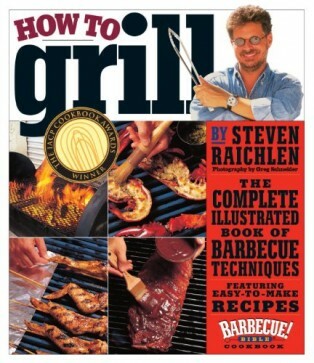 I want to clear up one question covered in your backyard basics book, How to Grill. What’s the difference between barbecue and grilling? Grilling is cooking food directly over a hot fire. It has three characteristics: hot fire, quick cooking time, and cuts of meat or food that are intrinsically tender and generally small. So you grill a steak. True barbecue is an indirect method: food is cooked near but not directly on the fire. Barbecue entails much lower temperature, much longer cooking time, and much bigger pieces of meat plus the presence of smoke and smoke flavour. Let’s begin with a book by a British primatologist. Catching Fire isn’t a cookbook, it’s a new take on evolutionary history. 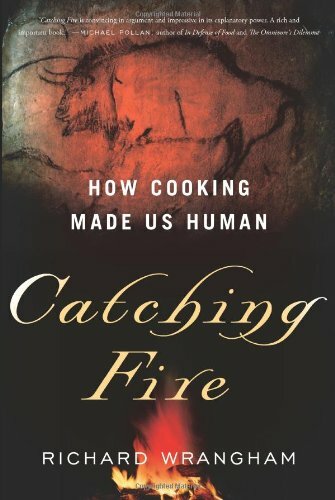 Richard Wrangham argues that learning to cook food over fire made us human. Please explain. People have deep emotions about grilling. The act of lighting a fire and creating a barbecue seems to bring a sense of comfort, satisfaction and community that you just don’t get with other cooking methods. Why? There is the pleasure of sitting around a fire, the incredible aromas and flavours you get with cooking over fire and then there’s the long human history of open-fire cooking. About 1.8 million years ago homo erectus roasted an auroch, a prehistoric cow. A human ancestor tasted it and uttered the first grunt of gastronomic satisfaction. When you eat meat cooked, instead of raw, there’s several physiological, social and emotional things that happen. Prior to homo erectus and the application of fire to cooking, our ancestors were eating machines. Their skulls were characterised by giant teeth, giant jaws and very small crania because they spent all their time chewing raw food. After the discovery of cooking with fire, teeth get smaller and brains triple in size. Our ancestors develop a smaller jaw and a more agile tongue so we have the ability to speak. And because cooked food is much more easily metabolised, our ancestors were able to develop larger brains. With this new-found intelligence we evolved to become speaking and thinking animals, which is our evolutionary edge over all the other animals in the world. Additionally, our ancestors developed different kinds of social behaviours. When you cook meat over fire you have a common focal point for a group and we become more social animals. While other primates eat on their own, so they keep their food to themselves, we sit around and share a fire and our food, and cooking becomes a communal activity. Simultaneously, for the first time, you get a division of labour. Female and male gorillas gather and eat food in pretty much the same way. Because human beings had a fire that had to be tended, we get a division of labour. One part of the community stays home to nourish the fire and do hearth-oriented work, while another part of the community goes out to hunt. One brings home the food while the other takes care of the household. So the human face, human intelligence, speech, social organisation and even division of labour – all of these potentially began with the act of cooking meat over fire. You could say that barbecue began human civilisation. 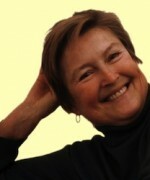 Wrangham argues that spending less time feeding freed up our time for more complex endeavours. But nowadays, many humans seem to devote as much energy to what they eat as any of our fellow mammals. What do you make of the modern focus on food? Wrangham points out that primates in the wild spend about six hours a day chewing, while fire-using human beings do their chewing and eating in a half-an-hour to an hour a day. Our greater leisure time and better-developed brains gave rise to art. The fact that we shape our environment in creative and meaningful ways helps distinguish us from every other animal. The first art actually did have a fire and barbecue connection. The first carved animal bones are as many as 100,000 years old and the first cave art, portraying hunting scenes and using charcoal, a derivative of fire, was done at least 40,000 years ago. Now fast forward to the modern day, we have evolved art in many different ways. We have musical arts, visual arts, digital arts and we’ve turned cooking into an art. The evolution of cooking into an art has been ongoing for thousands of years. Early humans began seasoning their food in a way that other animals don’t (man is the only animal who cooks). 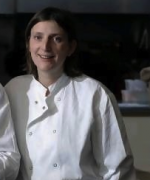 Ancient Greek and Romans had celebrity chefs and celebrity cookbooks. The way today’s human beings spend so much time preparing food, thinking about food, writing about food and relishing food, clearly has less to do with satisfying our nutritional needs than it does with our passion for art. 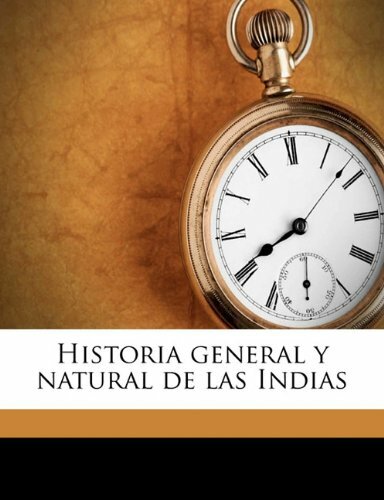 Next you cite a 16th-century history of the West Indies by Gonzalo Fernández de Oviedo y Valdés, a Spanish coloniser. What does this have to do with grilling and why should we try to get our hands on a copy? Oviedowas a real Renaissance man. He wrote a novel, he was a bit of an anthropologist and he knew about business management. In 1512 he landed a job as a manager of a goldmine in the newly established colony of Columbia. Back in the 16th century, this was like landing a job at a top hedge fund – there was no quicker path to riches. So Oviedosailed with an armada from Spain to Columbia, stopping off in what today is the Dominican Republic and Haiti to take on water and supplies. While there Oviedo encountered the indigenous people and, unlike his more rapacious colleagues, who tried to convert and enslave them, he tried to document their culture and daily life. That is what this book is about. In one scene he came across Taíno Indians who had driven four poles into the ground around a fire, rigged a green sapling grid on top of those poles and used it to cook wild game and fish. They called it a barbacoa, or at least that’s what it sounded like to the Spanish ear. This is the first mention of the word and it’s where our word “barbecue” comes from. So, in the original sense, the word actually referred to a grill. People ask, “what is barbecue? Is it a kind of food? Is it a technique? Is it a meal outdoors?” In a sense, it’s all of these things, but the original meaning was a device for live-fire cooking and smoking meat. Now a couple of interesting things about barbacoa. When your grill grate is made of wood, it has to be several feet above the fire or else it will burn. When you cook several feet above the fire you’re actually cooking at a lower temperature for a longer time in the presence of a lot of wood smoke. That is the definition of true American barbecue today. And by barbecue, I mean North Carolina pork shoulder, Kansas City ribs, or Texas brisket smoke-roasted low and slow. When I gave a talk at the Library of Congress a few years ago, they took me to the rare books room and actually put a 16th-century edition of this book in my hands, opened to the page with the word barbacoa. That was pretty thrilling. I read that Oviedo’s work was quite popular in contemporary Europe. Did Oviedo’s book disseminate the concept of barbacoa? Europeans have been grilling for millennia. The ancient Greeks and Romans had metal grid-irons that they would position on a raised fireplace over an ember fire. The Europeans did direct grilling over hot heat, what we think of as grilling today. A European would have thrown a steak on a grid-iron or stick a suckling pig on a spit in a fireplace. But this idea of slow smoking spread first to North America as early as the late 1600s. In North America, we adapted from the Caribbean and indigenous American tribes this unique technique of roasting low and slow over wood smoke. One of the first laws promulgated in the Virginia colony concerned the discharge of firearms at barbecues. George Washington wrote a lot about barbecue in his diaries. So I’d say that Oviedo’s influence, to the extent that it was felt, was felt first in North American and not in Europe. Next you name Leipoldt’s Cape Cookery. A South African doctor who wrote poetry, plays, travel stories and cookbooks in Afrikaans, C Louis Leipoldt died in 1947. Tell me about his work and what you draw from it. 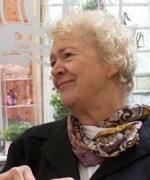 Leipoldt is the patriarch of South Africa cooking. He wrote a lot about cooking but unlike modern cookbook authors, he evoked a whole scene rather than just a recipe. When he talks about a grilled fish, he starts with building a fire – with the particular kind of wood, burning it down to a particular kind of ash, and you know by the heat on your hand that it’s ready. It’s for that sense of social and familial context that I picked that book. For example, in my book Planet Barbecue I have a recipe for sosatie, which is a South African shish kebab, traditionally made with pork and lamb, flavoured with red wine, bay leaf and apricot marinade. 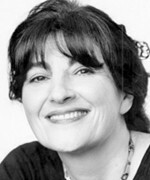 My recipe comes from an essay Leipoldt wrote about sosatie. He would use the fruit from a certain side of a maiden aunt’s apricot tree that faced the sun for a certain number of hours every day. The skewer would come from a bay tree and it would be whittled a certain way. The lamb came from a farmer up the street, the wine from a particular district. The meat was set to marinate in an earthenware bowl that had been in the family for however long, kept cool on the window ledge by a tree that grew by the window. By reading this little essay, you get a complete portrait of life for South Africans of a certain class in the first half of the last century. All his food writing is like that. South Africans have something called braai [grill], which is every much as essential a piece of their culture as barbecue is of American culture. You cannot understand the South African soul without understanding braai, just as you can’t understand the Argentinean soul without having been to an asado. What do we learn about braai and the South African soul through Leipoldt? One, that it’s familial. Two, that it is deeply rooted to a sense of place, to the farm, to the garden, to the food produced locally. Three, that South Africa is a melting-pot culture. Leipoldt is keenly aware that in the space of three centuries Portuguese settlers gave way to English settlers who gave way to Dutch settlers who welcomed French Huguenot religious refugees, who started the wine industry. By the 18th and 19th centuries, the birth of the mining industry and general rising level of affluence required cheap labour in the form of indentured servants from India and Southeast Asia – the Cape Malays – who brought in a taste for Indian, Ceylonese and Indonesian spices, which is all still very much part of the South African flavouring and culture today. He conveys all this by writing about cooking in a simple but profound way. Let’s move on to a contemporary cookbook. 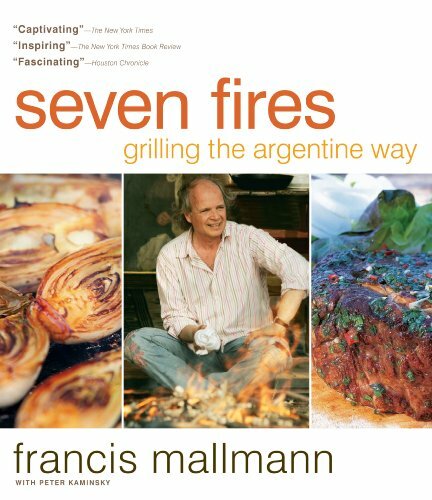 Brought up in the Andes and trained in French kitchens, Francis Mallman became revered as one of Latin America’s best chefs, but abandoned fine dining to extol the virtues of cooking unpretentious food cooked over live fire out in the open. Tell us about his Seven Fires. He was born in Uruguay and made his fame and fortune in Argentina, where there’s a lot more money and a much more affluent eating class. Another chef and restaurateur once explained to me that Uruguay is a poor country with few natural resources, dwarfed by Argentina to the South and Brazil to the North. But the one thing every Uruguayan man knows how to do is roast meat over a wood fire. It is their cultural claim to greatness. After catering to the highest echelon of Latin American society in a series of Eurocentric restaurants, Mallman said: Wait a minute – why am I sautéing like a French clone when we have this incredible Latin American tradition of cooking over live fire? I picked him because he celebrates a style of cooking that epitomises the rustic and primitive, and yet at the same time he writes about live-fire cooking with great intelligence. And he’s the first guy to organise the various South America live-fire cooking methods into a logical, coherent system. Not to mention his food is amazing. What are the seven fires? They are seven methods of live-fire cooking. One is parilla – “the grill” – the sort of grilling you would find at a North American steakhouse, grilling on a metal grid-iron over hot embers. Then there’s asado, Argentinean campfire cooking. You take small animals, like whole sheep or halves or quarters of large animals, like steers, and impale them on stakes in front of a campfire. Asado is cooking by radiation, you get smoke flavour, you get fresh air, and very simple seasonings. The third method uses a champa – it’s a slab of cast iron you put on a wood fire, you get it super hot and then you sear foods on it. Think of it as Argentina’s answer to the plancha [the Spanish flat-top grill]. Then a fourth method would be roasting in a wood-fired oven. A fifth would be using a big pot in a wood fire, which gives you kind of a different flavour. The sixth method is cooking in embers or ashes – what I call the “caveman” method. The seventh is something Mallman invented. He builds a fire, puts a cast-iron slab over it, and maybe 18 inches above that, he puts another iron slab and builds a second fire on top. So the food is cooking both from above and below. He calls it infernillo – little hell, literally – and it’s based on the premise that one fire is good but two is better. I read that Mallman is the son of an eminent nuclear physicist, which made me wonder to what degree is barbecue a science and to what degree is it an art? In general, the way it’s practised, one would say it’s more a craft than an art or science. I think most grill masters would call themselves craftsmen rather than artists because what they’re doing is really very simple. However, there are sophisticated chefs, like Victor Arguinzoniz of the restaurant Etxebarri in Spain’s Basque country, who have raised grilling to the level of high art. Final book. Thrill of the Grill by Boston-based chef Christopher Schlesinger. It was written two decades ago. What makes this book thrilling after all those years? Twenty-five years ago, at a time when Americans were fascinated with fancy, fussy French cuisine – with all those painterly plate presentations and precious ingredients air freighted from all over the world – Chris opened a revolutionary restaurant called East Coast Grill in Cambridge. I reviewed it at the time – I was the restaurant critic of Boston Magazine. Although Chris went to culinary school, he found nothing he learned to cook there as satisfying or as flavourful as the beach barbecue he had in South Africa or the smoked pork shoulder he tried at a church supper in Virginia. He was one of the first guys to make a wood-burning grill the focal point of a restaurant and one of the first guys to spurn demi-glace, hollandaise, and other Frenchified sauces for salsas, chutneys and other explosive Third World condiments. So the restaurant was a complete revolution and an overnight success, and it’s still packed to the gills 25 years later. 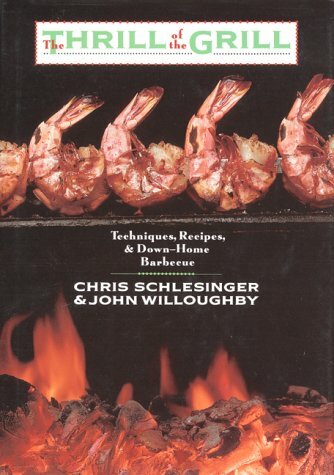 Chris and his writer partner John Willoughby wrote this bookas a guide to the grilling revolution. 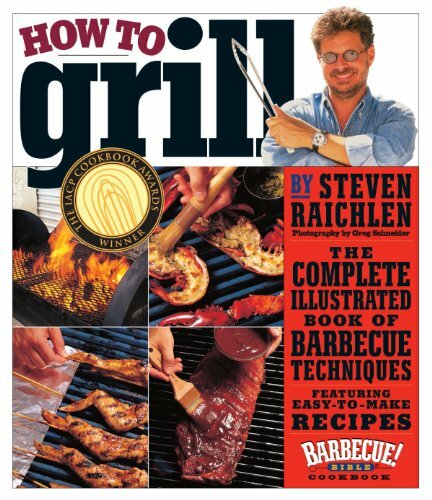 I’ve written eight books on the subject, so a lot of people associate the modern grilling revolution with my books, but I picked this one because Thrill of the Grill is what really ignited my interest in grilling. Even 20 years later, it’s full of fabulous techniques, great recipes, great flavours and a lot of kitchen wisdom. Schlesinger begins this book with the assertion “brown tastes better”. Can you make his argument for char? I think what Chris was trying to get at is that we came from a world of French-dominated cuisine where recipes began with sweating vegetables until they were translucent or involved poaching fish and poultry. But maximum flavour comes when you caramelise meat proteins or plant sugars over a hot fire and nothing does that better than a grill. So browned tastes better than poached. You titled your second television series Primal Grill. Schlesinger said that he turned to grilling as a way to channel his pyromania. Please explain to a closed kitchen cook like myself the primal pleasure men and many women derive from cooking over an open fire? Freud coined the term “sublimation” for when man takes an unhealthy animal urge and finds a way to channel it into a socially productive activity. The fact is there’s something fascinating about playing with fire. Why do you think so many boys sign up to be boy scouts? Like Chris, I had a childhood fascination with burning stuff. Neither of us became an arsonist; we both channelled this urge to play with fire into books and TV shows and restaurants. We used a primal urge to make it a positive contribution to society.